One Drop OVERTURE & VTWO Restock! OVERTURE: OVERTURE AVAILABLE HERE! VTWO: VTWO AVAILABLE HERE! New Sebastian Brock signature yo-yo! 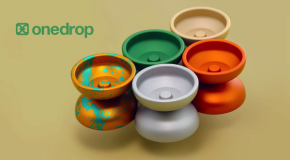 The One Drop Overture!